Zetsuen no Tempest is a fantastic anime. 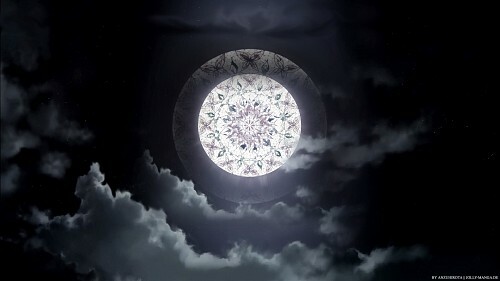 (*-*) After the ending we see this picture from the moon. it is beautiful! and because of that i make this wallpaper. (^_^) i hope you like it. On the picture i write "AnzuHirota" and my website. AnzuHirota is my real nickname. but in minitokyo my nickname is schuhchen xDDD this wallpaper is make by me. That is an awesome moon and so is that anime.